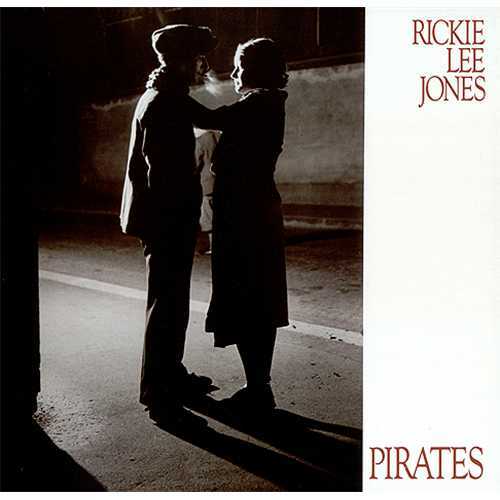 Pirates is the second album by Chicago-born singer, songwriter, and musician Rickie Lee Jones, released in July 1981, two years after her eponymous debut Rickie Lee Jones. The album is partially an account of her break-up with fellow musician Tom Waits after the success of her debut album. 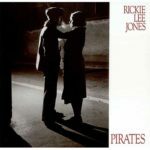 Initial recording for Pirates began in January 1980, with the live recordings for “Skeletons” and “The Returns” from January 30 from these sessions kept on the final album. In the same month, Jones picked up a Grammy Award for Best New Artist.Jones came to album sessions at Warner Bros. Recording Studios in North Hollywood with five songs, which were recorded and arranged in a two-month spurt in early 1980 before Jones was given an extended break for further writing. Album sessions reconvened in November 1980 and concluded in April 1981, three months before the album release.All songs were copyrighted on June 9, 1980, as well as “Hey Bub,” which was omitted from the album release, except for “Living It Up” and “Traces of the Western Slopes,” copyrighted in July, 1981, at the time of the album release. “Skeletons” and “The Returns” were recorded live on January 30, 1980 at Warner Bros. Recording Studio in North Hollywood.